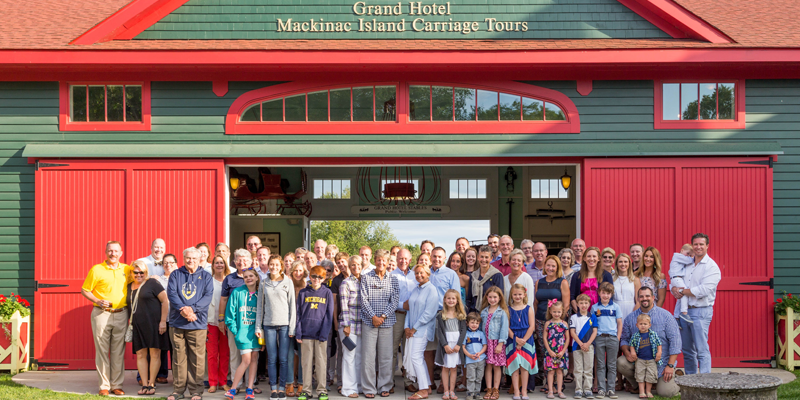 Relax and have fun at "America's Summer Place" with fellow Letterwinners, their families, friends, and all those who share a love for the Maize 'n Blue. The weekend starts Friday evening with a Welcome Reception at Stroh Cottage, located next door to the hotel. Experience a beautiful evening on the Front Porch overlooking the Mackinac Bridge before a five-course dinner in the Main Dining Room. Saturday begins with a friendly golf tournament on The Jewel or leisure time to explore the island, with a special cook-out dinner, bocci ball, and croquet in the Grand Hotel Tea Garden during the evening. Grand Hotel is the perfect place for families and children of all ages! Swim in the heated Esther Williams swimming pool, play lawn games in the Tea Garden, FootGolf on The Jewel, bike around Mackinac Island on over 70 miles of trails, visit historic Fort Mackinac, or just stroll through town in search of your favorite fudge. The new Grand Hotel stable (pictured above), located minutes away near Surrey Hill and just across from Wings of Mackinac Butterfly Conservatory, is home to 12 horses and open to the public at no charge. At 8,700 square feet, this working stable is a great way to see the horses up close, along with 20 antique carriages from both Grand Hotel and Mackinac Island Carriage Tours. The 2019 weekend package price was $989 (based on double occupancy) Children 9 and younger stay and eat for free, there are Children’s Programs for kids age five and older, and babysitting services available on request. 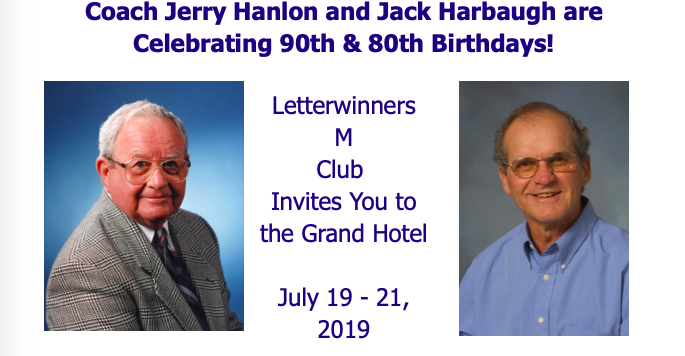 For every package sold Grand Hotel will contribute $50 to the Letterwinners M Club! Please feel free to contact Ken Hayward (Baseball ’82-’85) with any questions at khayward@grandhotel.com or (517) 349-4600. 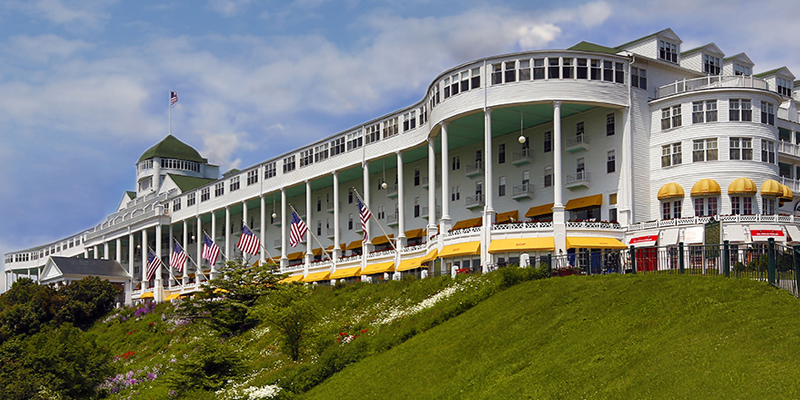 The hotel's reservations department may also be reached at (800) 334-7263 or reservations@grandhotel.com.